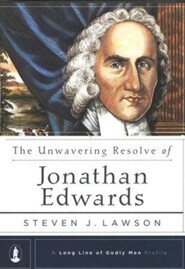 Lawson examines Edwards life through the lens of the seventy resolutions he penned in his late teens, shortly after his conversion, which cover everything from glorifying God to repenting of sin to managing time. 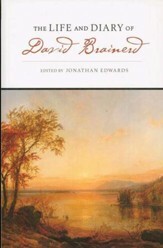 Drawing on Edwards writings, as well as scholarly accounts of Edwards life and thought, Lawson shows how Edwards sought to live out these lofty goals he set for the management of his walk with Christ. In Edwards example, he finds helpful instruction for all believers. Dr. Steven J. Lawson is founder and president of OnePassion Ministries, a ministry designed to bring about a new reformation in the church. He is a Ligonier Ministries teaching fellow, director of the Doctor of Ministry program at The Masters Seminary, and host of the Institute for Expository Preaching. 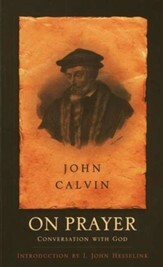 He has written more than two dozen books, including The Passionate Preaching of Martyn Lloyd-Jones, The Evangelistic Zeal of George Whitefield, and John Knox: Fearless Faith. He is on Twitter @DrStevenJLawson. Steven J. Lawson is the senior pastor of Christ Fellowship Baptist Church in Mobile, Alabama. Dr. Lawson serves on the board of directors of The Master's College and on the ministerial board for Reformed Theological Seminary, and teaches with Dr. John MacArthur at the Expositor's Institute. In addition, Dr. Lawson has written numerous books, including Foundations of Grace and Famine in the Land: A Passionate Call for Expository Preaching. Lawson examines Edwards life through the lens of the seventy resolutions he penned in his late teens, shortly after his conversion. Lawson is quick to note that in writing these resolutions, Edwards was not merely seeking to bolster his own determination. As Edwards himself said before writing the first resolution, Being sensible that I am unable to do anything without Gods help, I do humbly entreat him by his grace to enable me to keep these resolutions . . . for Christs sake. Edwards knew he would never keep his resolutions in his own strength. The resolutions cover everything from glorifying God to repenting of sin to managing time. Drawing on Edwards writings, as well as scholarly accounts of Edwards life and thought, Lawson shows how Edwards sought to live out these lofty goals he set for the management of his walk with Christ. 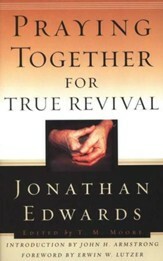 In Edwards example, he finds helpful instruction for all believers. "Tired of going at the Christian life in piecemeal fashion? Tired of half-hearted pursuits? Then youve come to the right book. Here Steven Lawson artfully points you to Jonathan Edwards, a model for pursuing holiness, humility, and love, and for the forsaking of sinall driven by a relentless passion to glorify God and enjoy him forever. When Edwards wrote his Resolutions, he likely had no idea how much they would impact his life. Beware, theyll do the same for you." "The growing embrace of Reformed thought in the past quarter of a century has been very encouraging to those of us who delight in this most biblical expression of Christianity. And the remarkable writings of Jonathan Edwards have, by the grace of God, played no little part in this expansion of Reformed theology. This new volume by Steve Lawson helps to locate the root of Edwards thinking in his close walk with God. It serves as a powerful reminder that Reformed orthodoxy and Reformed piety belong together, and that to focus on the former at the expense of the latter is not only un-Edwardsean, but also un-biblical." 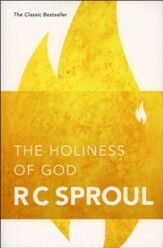 "The pursuit of a regimented godliness is not unique to Christianity, but it is rare. Unlike popular versions of the Christian faith, Jonathan Edwards did not seek the disciplines of godliness for utilitarian ends, the self-help preoccupation of Western Christianity. He saw conformity to Christ as a means, the only means, to glorify God. Steve Lawson has done a wonderful service, producing in a tactful and pastoral manner Edwards pious resolutions, thereby helping us understand the inner life, the spiritual struggles and goals, of perhaps Americas greatest intellect." 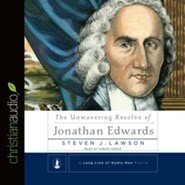 I'm the author/artist and I want to review The Unwavering Resolve of Jonathan Edwards.